A typical shopper visits the website, selects items, adds them to the shopping cart, provides a delivery address, selects payment method and confirms the purchase. Let’s consider a scenario where, after selecting the items, the customer abandons the cart and leaves the website. This occurrence is not as rare as one would think, and Dotcom stores look to optimise the checkout process and attempt to decrease this customer behaviour as much as possible. Cart abandonment tends to happen when customers do have an intent to purchase and add items to the cart for research purposes. In some other cases, customers realise an increase in product price due to the addition of taxes, delivery charges and so on, and hence have a change of mind. They would typically wait for the price to come down or move on to a competitor’s website. Some others use the website for entertainment purposes or for “e-window shopping”. They add the items to the cart at whim but abandon the process in the end. However, when the shopping cart abandonment rate increases abnormally (at a granular level), there is a clear flag for the retailer. When abandonment is happening at a micro level, it might not show up in the overall average KPIs being monitored. It may be well within the target abandonment rate and would go unnoticed. The ability to monitor this metric at a granular level and correlate it with elements like a coupon code or the last visited webpage or certain products or specific payment options, holds the key to stop this revenue leakage. For example, a website might issue a coupon code for free shipping, which might not work when they are checking out. This might be a minor technical glitch but if detected in real-time and it can be fixed immediately. In some cases, the payment gateway might not be functional for a specific mode of payment. If the website in question is aware of the glitch, having a small informational message pop up before the customer selects a payment option would certainly improve customer experience. Maybe the product page does not have the information that is needed or has a technical error that serves as a leading cause in the abandonment of the cart. Such anomalies when detected and alerted would help decrease revenue leakages. With the advancements in AI-based automated anomaly detection systems, it far easier to monitor cart abandonment at granular levels, correlate it with the possible root cause and take the required action. In this way, Decision makers can use real-time alerts on cart abandonment to seal revenue leakages. To know more about automated anomaly detection to decrease cart abandonment rate. Rohit Maheshwari is the Head of Strategy and Products at CrunchMetrics. He is responsible for delivering business growth using innovation and product strategy. 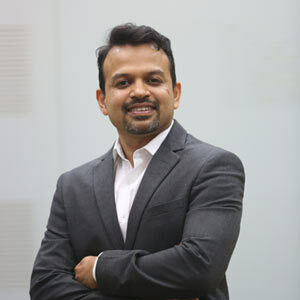 He leverages his expertise in artificial intelligence (AI), analytics and digital services to contribute to Subex’s solutions and enables its clients to build new offerings, drive business growth and deliver great customer experience.